Around 27% of cats are acquired as strays. 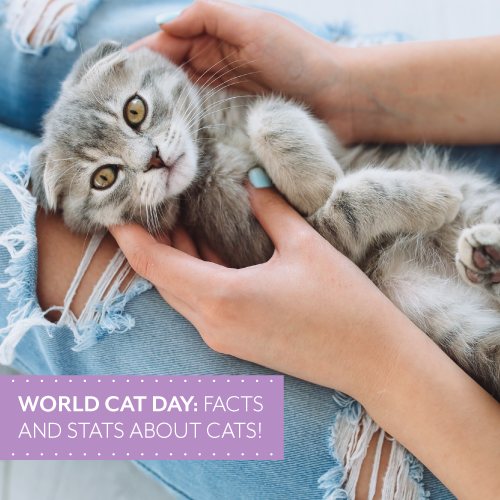 Most popular US Cat breed is the Domestic Shorthair. 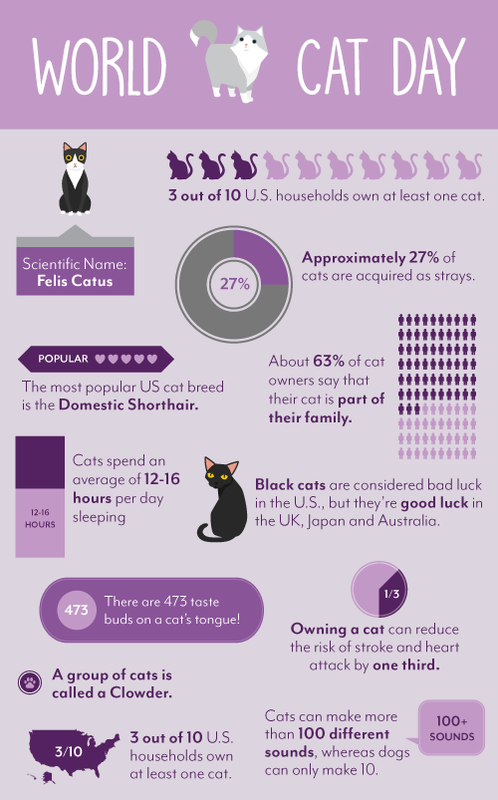 63% of cat owners say that their cat is part of the family. Cats spend 12-16 hours a day sleeping. Black cats are bad luck in the United States, but they are considered good luck in the UK, Japan and Australia. There are 473 taste buds on a cat’s tongue. Owning a cat can reduce the risk of stroke and heart attack by a third. 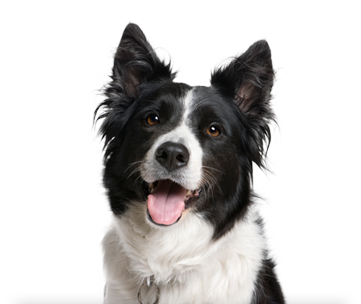 Cats make more than 100 different sounds, whereas dogs make around 10.